At HCC Medical Insurance Services, a big part of what we do involves helping international travelers to prepare for their time abroad. One question in particular tends to come up often: What travel immunizations will I need for my trip? There is plenty of information out there to help travelers understand which shots they will need to stay healthy while visiting their destination, but we kept wondering if there might be an easier way to help people quickly and easily learn about important travel immunizations. In that spirit, we created an interactive map to help travelers pinpoint destinations in South America, Africa and Southeast Asia, to learn which diseases they will need protection against. Required upon arrival from all countries if traveler is less than or equal to 1 year of age. Vaccinations should be given 10 days before travel and at 10-year intervals. Vaccinations should be given 10 days before travel and at 10-year intervals if there is on-going risk. Required for travelers >1 year of age arriving from countries with risk of YFV transmission. 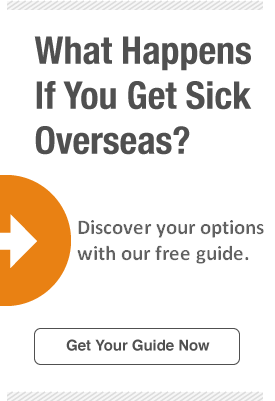 Required if traveling from a country with risk of YFV transmission. Required for travelers >1 year of age arriving from a country with risk of YFV transmission. Nationals and residents of Ecuador are required to possess certificates of vaccination on their departure to an area with risk of YFV transmission. Required if traveling from a country with risk of YFV transmission and >1 year of age. Required upon arrival for all travelers >9 months of age. Required for travelers >1 year of age arriving from a country with risk of YFV transmission, with the exception of Argentina, Paraguay, Suriname, and Trinidad and Tobago. Required upon arrival from all countries if traveler is >1 year of age. The government of Niger also recommends vaccination for travelers departing Niger. Required upon arrival from all countries for travelers >1 year of age. Required if traveling from a country with risk of YFV transmission and >9 months of age. Required upon arrival from all countries. Required if traveling from a country with risk of YFV transmission and >9 months of age. A certificate may be required for travelers departing Sudan. US citizens applying for a Hajj visa must meet the following health requirements. 1. Need to have had your vaccine no more than 3-years and no less than 10 days before you arrive in Saudi Arabia. 2. Must show proof of vaccination (International Certificate of Vaccination or Prophylaxis) before you can enter the cities of Mecca and Medina to perform the Hajj. H5N1: The virus can be transmitted to humans directly from birds, or from a host, such as a pig. Japanese encephalitis: The virus (JEV) is transmitted through the bite of an infected mosquito. Ixiaro for people 17 and older.